Last year, Asus' smartphone unit spend significant efforts mastering one of the greatest and the most powerful smartphones for gaming – the ROG Phone. But it did so without ignoring the Zenfone lineup or missing out on pitching its flagship, the Asus Zenfone 5Z, as a competitor to the OnePlus 6. This year, Asus is taking the campaign forward and has already announced that it will be unveiling the Asus Zenfone 6 next month in Spain. Alongside the Zenfone 6, we may witness the launch of other smartphones, including the flagship, Asus Zenfone 6Z. An Asus smartphone has recently passed through the FCC and the documentation reveals that it will be powered by Snapdragon 855 (SM8150) mobile platform. The choice of chipset affirms that the certified Asus smartphone would indeed be a flagship device. It also implies that the said device could be a successor to the Asus Zenfone 5Z, which came with the Snapdragon 845 last year. Thus, the Zenfone 6Z moniker makes sense. 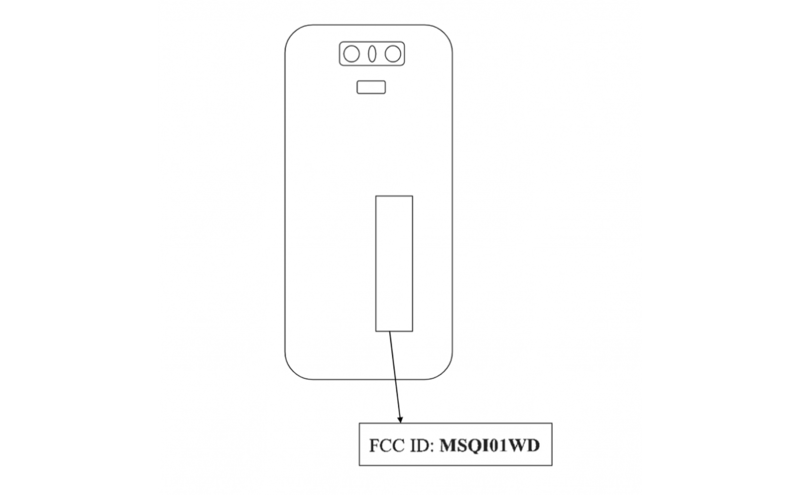 Besides revealing the processor onboard the alleged Asus Zenfone 6Z, the FCC listing also reveals that the smartphone shall support charging at 18W. If this is true, it would be a letdown since 18W charging support is even available on mid-range devices like the Redmi Note 7. Meanwhile, an illustration in paperwork suggests the orientation of the cameras on the back. Apparently, Asus could still be restricting itself to dual cameras with a flash placed between both the sensors. Underneath there is a rectangular space which is likely to be the fingerprint scanner. While the illustration is not refined at all, it hints at an approximate design including rounded corners. Although we haven't heard much about the specifications of the supposed Asus Zenfone 6Z, we can expect it to be equipped with a minimum of 6GB for RAM. Furthermore, previous rumors hint that Asus could be using a dual slider design on the Zenfone 6Z to house dual selfie cameras as well as a flash on the front and a speaker strip at the bottom. This smartphone could also be Asus' first one with support for 5G connectivity. But this is just a speculation and might not necessarily turn out to be true. The post ASUS' next flagship, possibly the ZenFone 6Z, passes through the FCC appeared first on xda-developers.